George Fong is to IT in Ballarat as Peter Lawler was to Eureka- A leader of significance with a touch of larrikinism, a clear vision for the future, and the will to make it happen. After practicing shipping and admiralty law in Singapore, George moved to Australia in 1987 to lecture at Federation University Australia, formerly known as the University of Ballarat. In 1994, George co-founded one of Australia’s first regional ISPs-NetConnect Communications. Post his involvement with NetConnect, he founded an IT start-up Lateral Plains, based on the Technology Park at Federation University Australia. 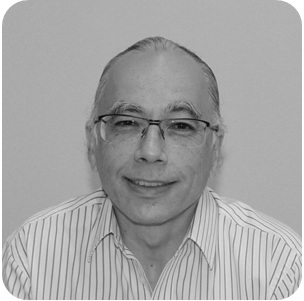 Today George’s expertise and passion for information technology and telecommunications sees him much in demand within the print and broadcast media. He contributes intellectual capital and time to many community based initiatives, and to the construct of regional development ICT planning and policy. With over 20 years of IT experience in teaching, management and consultancy, focusing on regional telecommunications, George is also Vice President of the Internet Society of Australia, Chair of the Board for the Ballarat Health Services Foundation, member of the Council of the Federation University Australia, member of the advisory board for .au Community Domains, and Project and Facilitation Manager of IPV6 Now Pty Ltd. In his inimitable style George advises "Some say I invented the internet. Some may be slightly exaggerating." There is however no exaggerating the positive influence George Fong has had on the diffusion of technology across Ballarat and the Western region. He is a DigiChamp of significance. DigiChamps don’t come much better than this! Ian Fry is an asset to the Ballarat and Central Highlands region. 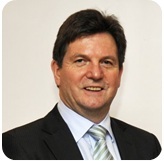 As executive of Ballarat ICT, he uses his considerable experience and knowledge of the ICT industry to advance digital enterprise and broadband technologies across the region. The goal of Ballarat ICT is to make Ballarat an economic powerhouse complemented by strong digitally enabled social networks and lifestyle. Funded through City of Ballarat, the organisation acts as a conduit to government and community on all things related to ICT. Ian’s professional background, including time as CEO Neighbourhood Cable and General Manager Fetch TV, is a perfect fit with the strategic role envisioned for Ballarat ICT. Ian has oversighted the conduct of analysis exploring diverse issues from ICT diffusion to investigation of internet provision on Ballarat/Melbourne trains. It’s no surprise to see why Ian strives to maintain the office presence on the Technology Park at Federation University Australia. Innovation is close to Ian’s heart. “I am interested to hear the ideas people come up with,” advises Ian. Tenants on the Park testify to this enthusiasm. Ian is well regarded for sage advice on ICT to new start-ups on the Park, and businesses across the region.